Dr. Meigan Marie Fields has more than 15 years of progressive experience in higher education. She is currently an associate professor of political science and the founding director of the Honors Program at Fort Valley State University. Dr. Fields also founded the FVSU Women’s Learning Community and was a Principal Investigator and Director for the African American Male Initiative at FVSU. Dr. Fields has a solid record of proven effective engagement in grantsmanship with nearly 10 grants totaling more than two million dollars. A native of Pennsylvania, Dr. Fields has a myriad of experiences ranging from her work with the Georgia Department of Education in the Governor’s Internship Program under Governor Joe Frank Harris. She was also a Public Management Intern with the New York State Department of Civil Service under Governor Mario Cuomo. Dr. Fields progressed through the competitive process in the New York State Management program to become a Senior Personnel Administrator. 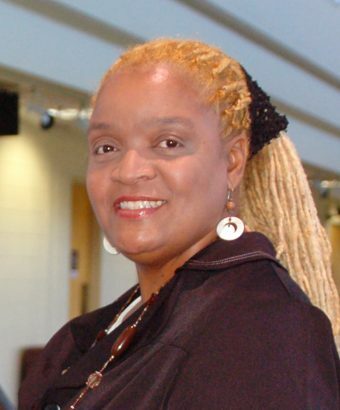 Utilizing her management experience, Dr. Fields served as the Director of Student Life at The Chicago International Charter School in Illinois where she also worked as the Assistant Director of the school. These experiences coupled with her dedication to helping to enrich the lives of young adults led Dr. Fields to move into higher education. She began her professorial career in academia at Tuskegee University as an Assistant Professor of Political Science. Additionally, her experience and grantsmanship enabled her to receive a Fellowship Award with the National Center for Bio-Ethics. Dr. Fields received the Bachelor of Arts degree in Communication from California University of Pennsylvania, the Master of Public Administration from The Atlanta University. Her terminal degree, the Doctor of Philosophy, was earned from Clark Atlanta University in International Affairs and Development with cognates in International Relations and International Development Education. Dr. Fields received the John W. Davison Outstanding Faculty Award in May 2011 and the President’s Trailblazer Award in May 2012 at Fort Valley State University. She was awarded the Citizen of the Year in 2013, a recognition from the Alpha Phi Alpha Fraternity, Incorporated in Fort Valley. Dr. Fields’ professional and social affiliations have included memberships in the American Society for Public Administration, Conference of Minority Public Administrators, Alpha Kappa Alpha Sorority, Incorporated, and Pi Gamma Mu International Honor Society in the Social Sciences (Life Member). (2004) Co-Principal Investigator: Assessing Childcare in Under-served Communities in Alabama Project $320,000, unfunded. Program funded, $1.87 Million Dollars. Tutor, Reading Program – Combined Communities of Southeast Columbus, Inc.
Tackie, N.O. and M. Fields. April 2005. “Education of Women as a Contributor to Economic Growth in Africa.” In Women in African Development: The Challenges of Globalization and Liberalization in the 21st Century, ed. S. Boko, M. Baliamoune-Lutz, and S. Kimuna. Trenton, NJ: African World Press/The Red Sea Press. Tackie, N.O. and M. Fields. Accepted for publication. “A Comparative Analysis of Selected Development Indicators Between African Economies and the Black Belt and Distressed Counties of Alabama. In Land, Community and Culture: Building Coalitions for Sustainable Economic Progress, ed. N Baharanyi, R. Zabawa, and W. Hill. Tuskegee, AL: Tuskegee University. Fields, M. In preparation. Racial Profiling and Homeland Security: Its Impact on African Americans After 9/11. Fields, M. “Raise Up! Raised Awareness is Essential: An Educational & Physical Fitness Program. Bulletin. June 2004. Fields, M. “REACH news.” A newsletter bulletin prepared for Tuskegee University Continuing Education. July 2003. Fields, M. REACH Policies and Procedures Manual. Developed for Tuskegee University Continuing Education. June 2002. Fields, M. and J. Johnson. REACH Training Curriculum. Instructional manual developed for Tuskegee University Continuing Education. 2001. Fields, M. and J. Johnson. Alabama Satellite Child Care Program: Trainer’s Manual. Developed for Tuskegee University Continuing Education. 2000. “Love, Lust, and Lies.” Presented at the Y.O.U.T.H. Beyond Violence Conference, October 2006, Fort Valley, GA.
Fields, M. M. 2004. “Health Disparities in African American Communities.” Presented at the Southeastern Conference for Public Administration (SeCOPA) Governance In a New Era of Cooperation. Charlotte, NC. Fields, M. “ 2004. “RAISE UP! (Raised Awareness Is Essential), An Educational & Physical Fitness Program.” Presented at the Project EXPORT, Public Health Bioethics Education & Training Core, Summer 2004 Fellowship Project Presentation Conference. 2004, Tuskegee University, Tuskegee, AL. Tackie, N.O. and M. Fields. 2003. “A Comparative Analysis of Selected Development Indicators Between African Economies and the Black Belt and Distressed Counties of Alabama.” Presented at the 61st Professional Agricultural Workers Conference, Tuskegee, AL. Fields, M. 2003. “HIV/AIDS In Zambia: Its Impact on Africa’s Most Valuable Resource, Women, Children, and Healthcare Providers.” Presented at the Southeastern Conference for Public Administration (SeCoPA). Savannah, GA.
Danso-Boafo, K., M. Fields, and A. Berkoh. 2002. “Globalization and the African Health Crisis.” Discussant Presented at the Southeastern Conference for Public Administration (SeCoPA). Columbia, SC. October 2002. Development in Africa: The Challenge for the 21st Century, Wake Forest University, Winston – Salem, NC.